Looking to list a Florida residence for the first time? Selling a Sunshine State house can be quick and simple, particularly for a home seller who understands the ins and outs of the Florida real estate market. Lucky for you, we&apos;re here to teach you how to stir up interest in your Florida house and ensure you can maximize your home&apos;s value. Now, let&apos;s examine three tips to help a first-time Florida home seller optimize the value of his or her residence. With a dazzling home interior and exterior, a first-time Florida home seller should have no trouble generating plenty of interest in his or her house as soon as it becomes available. To improve your home&apos;s interior, be sure to clean every room in your residence. Mop the floors, wipe down the walls and do whatever you can to transform an ordinary home interior into a stellar one. Furthermore, don&apos;t forget to trim the hedges, mow the front lawn and perform myriad home exterior improvements. By boosting your home&apos;s exterior, you can enhance your residence&apos;s curb appeal and increase the likelihood that potential homebuyers will want to check out your residence. A home appraisal requires only a few hours to complete, but the benefits of this evaluation are substantial, particularly for a first-time Florida home seller. As part of a home appraisal, a property inspector will examine a residence both inside and out. 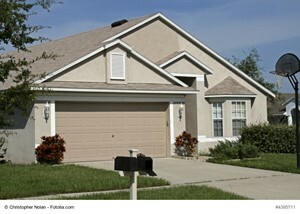 Then, this inspector will provide a home seller with a report that details his or her findings. Ultimately, a home appraisal offers insights into a house&apos;s condition. After the appraisal is finished, a home seller can better understand a house&apos;s strengths and weaknesses and explore ways to transform assorted weaknesses into strengths. When it comes to selling a Florida house for the first time, why not work with a home selling expert? Employ a real estate agent, and any first-time Sunshine State home seller can get the necessary support to optimize the value of his or her residence. 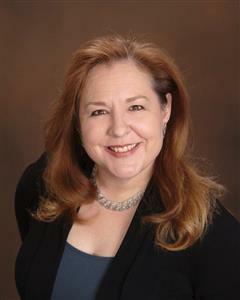 A real estate agent is happy to guide a Florida home seller along the entire property selling journey. He or she will learn about a home seller&apos;s goals and work with this individual to ensure a fast, seamless and profitable home selling experience. Usually, a real estate agent will set up home showings and open houses, promote a residence to potential homebuyers and negotiate with property buyers on a home seller&apos;s behalf. A real estate agent also is available to answer a home seller&apos;s concerns and questions, guaranteeing that this seller can make informed decisions at each stage of the home selling journey. Listing a Florida residence may seem daunting at first. But with the aforementioned home selling tips, a first-time Sunshine State property seller can accelerate the process of getting the best possible price for his or her residence.